QED XT40 kabelis su paauksuotais banana tipo kištukais. XT40 CELEBRATES QED'S 40 YEARS OF AWARD WINNING BRITISH HERITAGE. 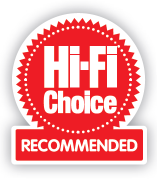 WINNER OF 'BEST SPEAKER CABLE' AT THE 2014 WHAT HI-FI? AWARDS. Acclaimed by What HI-FI? Magazine; this 'Five Star' award winning pure copper loudspeaker cable boasts QED's advanced X-TubeTM technology and a massive 4mm2 cross sectional area. This results in a cable that delivers clear sonic advantages over conventional cable designs by maintaining a flat frequency response within the audio band. "Everything about the XT40 is clear and engaging....superb performance at the price"
"The QED XT40 is a special cable – detailed, balanced and authoritative, and we think it’s worth every penny. Go treat your system." At low frequencies both X-TubeTM and conventional stranded/solid core speaker cables convey signals in a linear way. However, at high frequencies, X-TubeTMretains a near-linear signal transfer, whereas the conventional cables fail to conduct uniformly across the entire conductor area.